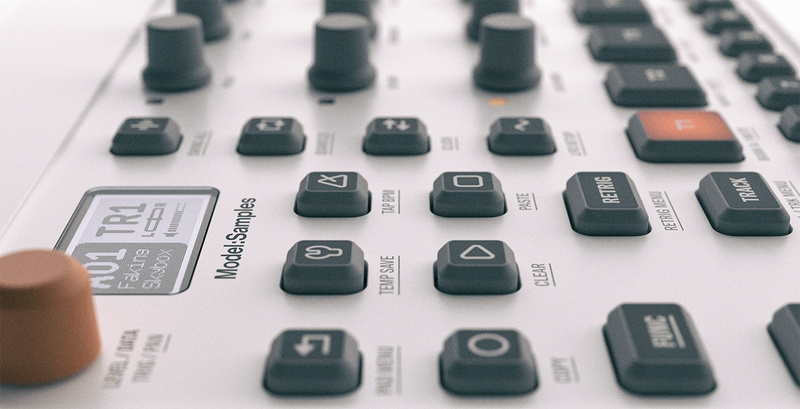 I’ve noticed that you can’t change samples on a per trig basis on the M/S like U can on almost any Elektron machine. Unless Im missing something and if not this is TRAGIC because it means that the machine is handicapped and you are stuck with basically one sample per track. And it seems that in this case it is true. This would mean that six tracks on the M/S in my opinion is not enough. One sample per track is NOT enough!! not when we only have SIX TRACKS. Then I think the M/S is too expensive. I can make a song in six tracks, I’m ok with it as long if Elektron gives us full trig control and interchangeable sample trigs. this would unlock another yet common amazing possibility for this machine/“groove box”. Aside from that I think the Model/Samples is really GOOD. But if they choose to fix the trigger samples thing (WAVE PARAMETER LOCKS) then the unit can be truly GREAT and maybe even amazing at best. As mentioned already. Prepare samples so that couple of sounds are in one file and automate sample start. Yes, it was removed in 1.05. It looks like the midi Solo CC (93) is not working and also missing from the manual. just buy one of the other elektron devices that has the features you want. The Australian price is ridiculous though. It’s way too expensive for an “entry level” unit here. This issue is not limited to Elektron. It works out to be US$500, for no discernible reason, absolutely nuts. Maybe Elektron can add sample locks just for the Aussies? Buy a Digitakt instead, it may have a couple of usefull missing features compared to the MS but it has so much more control over samples which sounds important to you. Oh please !! I tried this already. First off: sample chain IN THIS CONTEXT is a time consumming mediocre-ish, anti-spontaneous and boring pseudo solution, that is better suited for parameter locking longer samples and a bonus when u got a screen to complement it. Not when you are working with short samples. Not only that, but THE LACK OFF SAMPLELOCKS, boringly restrains you from making spontaneous rhythms and sounds and patterns. PLUS+ SAMPLE LOCKs WORKFLOW IS FAST and more interesting. It’s makes it more HUMAN. Second. : there was very little if any information about it. Listen… if Elektron wants to make it portable and kind of affordable , then make it portable and kind of affordable but it has to be interesting with the simple suggestion of making it possible of creating interesting rhythms and patterns. Not holding back a simple but vital ingredient to the mix. The digitakt is great but it has a totally another purpose. This sample lock issue is in my opinion the only thing holding the M/S back from being a great lightweight portable and spontaneous Groove-box that can rival many other machines in the market. I think that is the only thing holding it back from standing out and being diffrent. To make the device user friendly, it does make sense to avoid overloading the user interface with features. I wouldnt call sample locks overloading it with features. It would be a great addition imo. I like sample locks as well. But if this is supposed to be a device for beginners, and newcomers to Elektron, some of the deeper or more advanced features must be omitted. The manual has been available since the announcement was released. It specifically states that the “WAVE” parameter cannot be locked. As much as this disappoints me personally, what more information than the official manual would you like to see? I don’t see this as a big limitation. Working with sample chains of your favorite sounds is so much fun.